LOVELY CONDITION THROUGHOUT!! FULL SERVICE HISTORY!! MOT UNTIL SEPTEMBER 2019!! TWO KEYS!! REAR PARKING SENSORS!! READY TO DRIVE AWAY TODAY!! Take a look at this lovely Toyota Corolla we have just taken into stock on part exchange. This Toyota is in lovely condition throughout and drives like brand new. Great specification including alloy wheels, air con, Cd player, rear parking sensors, electric front windows, electric mirrors and much more. Supplied with an Mot until September 2019 and a full service history. Also supplied with two keys and all the original handbooks. 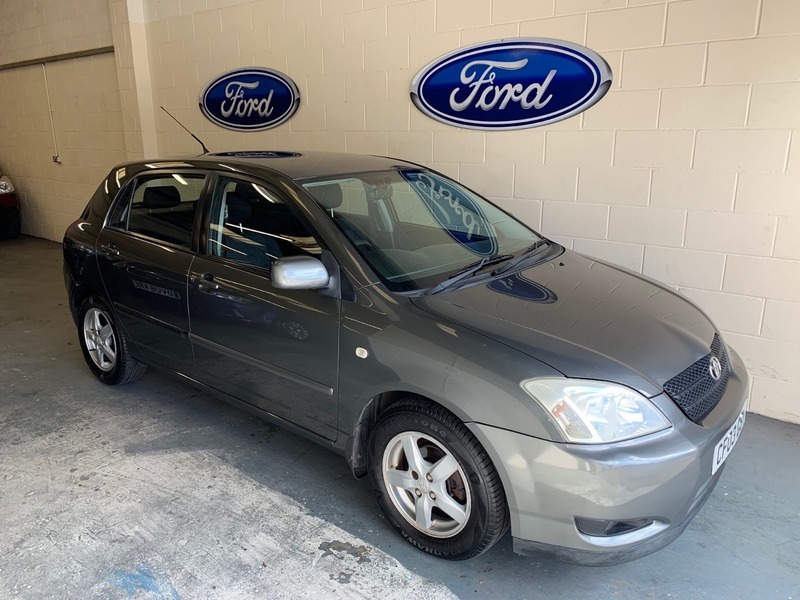 If you are looking for a Toyota Corolla for under £1800 then look no further as we guarantee you would not and could not find a better example anywhere for sale today. For your peace of mind all our cars are hpi checked before taken into stock and come supplied with a warranty and 12 months free breakdown cover. Call us to arrange a viewing/test drive. All Major debit and credit cards accepted.